Sometimes some of the best things are right under your nose. In Oklahoma City, our stay at the Ambassador Hotel put us right next door to Waffle Champion. 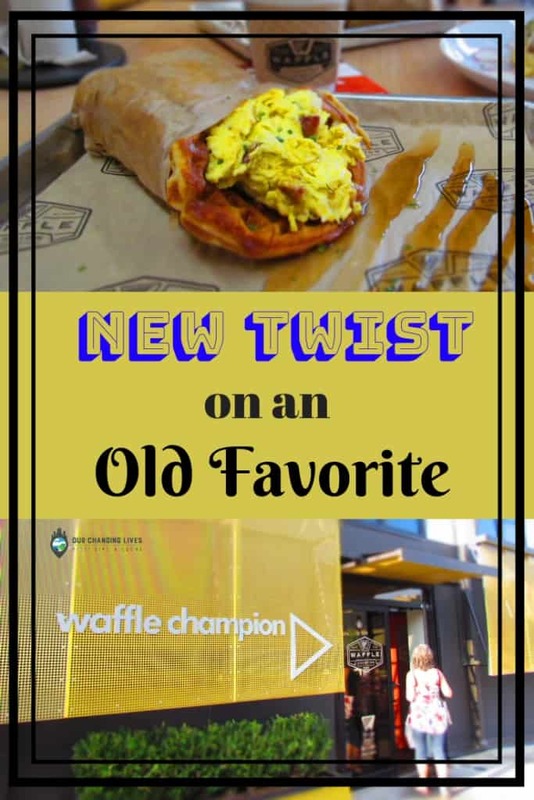 This breakfast and brunch eatery specializes in serving up an eclectic menu with an interesting spin on an old classic, the Waffle! This place ranked high with our friends in Oklahoma City, and that was more than enough reason to add it to our itinerary. We want to thank the Visit Oklahoma City for their hospitality. Rest assured that all opinions are our own. There are lots of ways to gain success, but one of the best is to pick a niche and excel at it. Waffle Champion has done just that by designing their menu around this delightful doughy disc. When we entered the restaurant we were greeted by the aroma of freshly baked breakfast goodies. 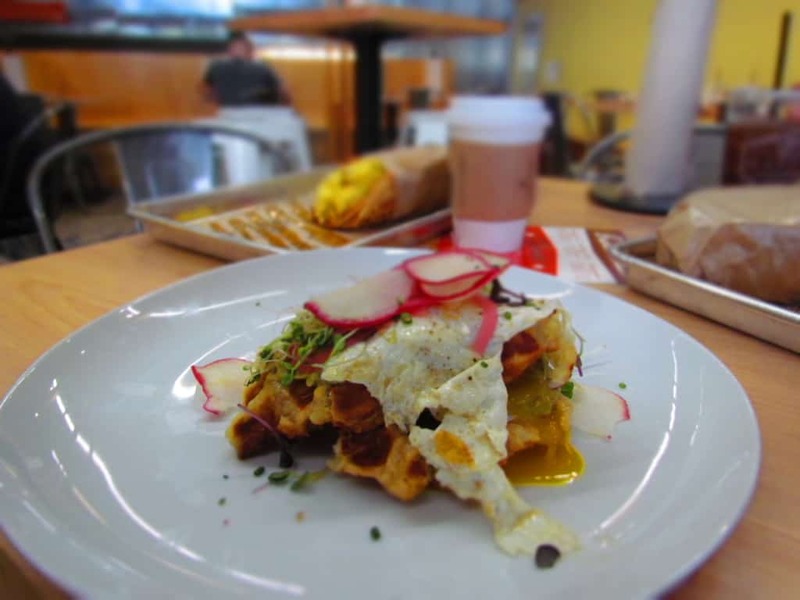 While the origin of the waffle is a little vague, it is obviously of European beginnings. 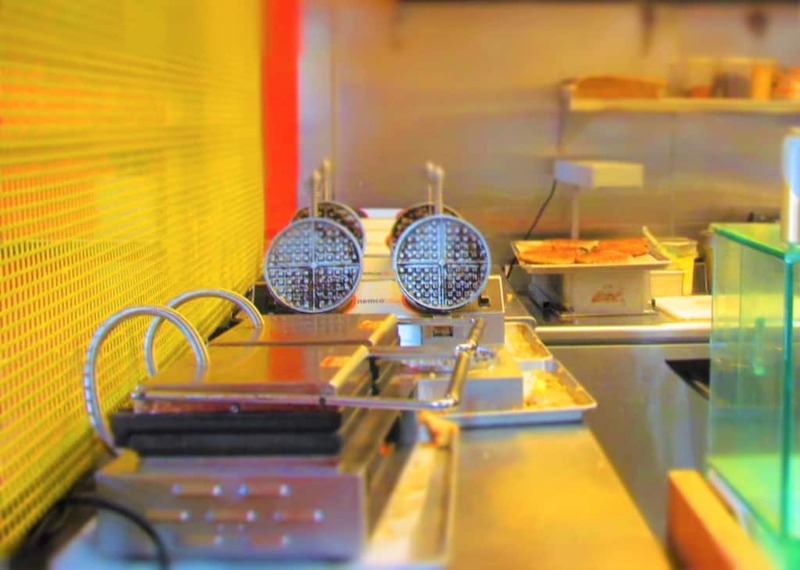 There are around a dozen types of waffles, which vary in sweetness and texture. 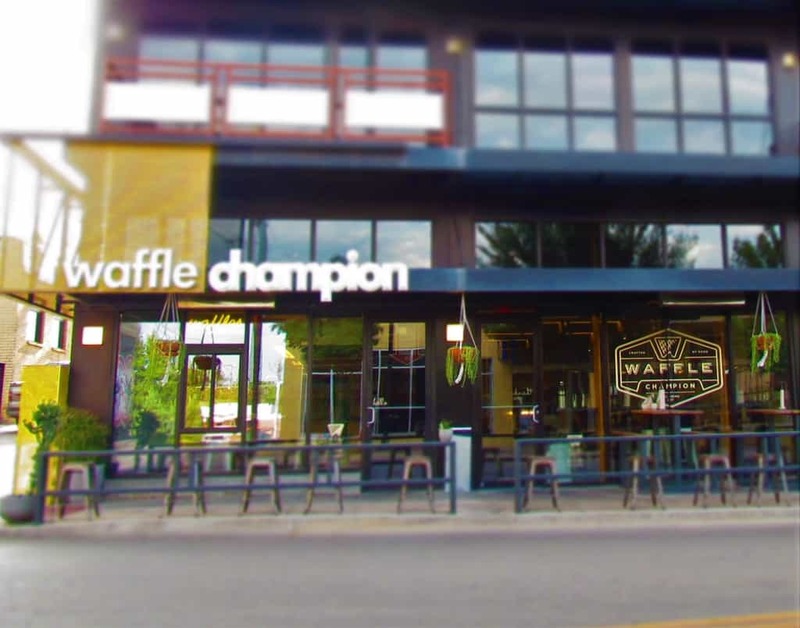 The ones served at Waffle Champion are Belgian waffles, that are a slight variation of the Brussels version. These are typically raised with baking soda, instead of the yeast raised Brussels version. This morning we were meeting with Tabbi Burwell, the Communications Manager at the Oklahoma City CVB. She explained some of her menu favorites, but with everything sounding so good it was still hard to decide. By the time we reached the front of the line, we were forced to choose. With our coffee in hand, we returned to our table to await our meals. My choice was made from the Sammies section of the menu. 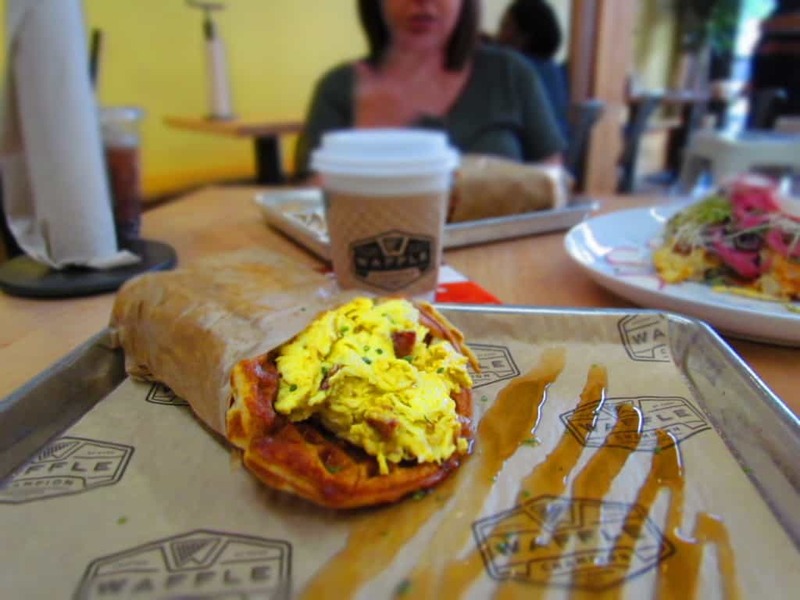 The Bacon Egg Cheddar is fairly easy to distinguish, but by wrapping it in a warm waffle it adds a delicious twist. By drizzling it with some warm syrup, it adds a sweet accent to the dish. This was one of those breakfasts that you remember. The idea is so simple that we had to wonder why we hadn’t encountered it before this. Tabbi ordered her favorite, which is the Chicken & Waffles. While most people have tried some variation of this southern dish, here they put their signature all over it. Crispy buttermilk battered tenders are nestled inside a waffle with some leeks and a spicy, yet sweet Tabasco honey. Let that sink in for a minute. You can almost imagine the flavor combination, if you try, but it will never match the real thing. Crystal decided to strike out even farther from the basics than we had. Her order of Avocado Toast made a fantastic plate presence. 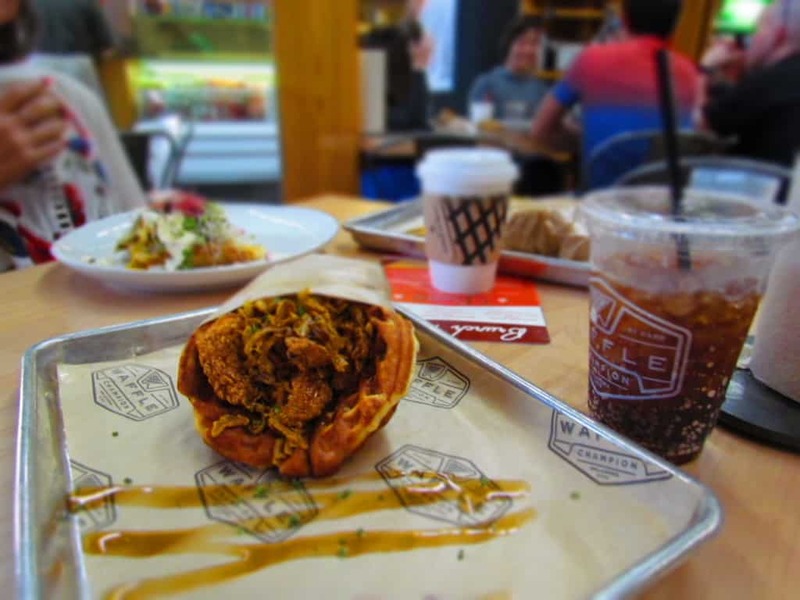 This dish includes a Liege waffle, which had a dense, sweeter, and slightly chewy texture, much more like brioche. Mashed avocado is accompanied by pickled red onion, greens, radish, bean sprouts, and a fried egg. This blend of flavors pops in the mouth and invites you back for more. As much as I liked my choice, I was a little jealous of Crystal’s plate. It just goes to show that just when you think you’ve seen and tried about everything, someone comes along and puts a new twist on an old favorite. Share This With Those Friends Who Need A New Flavor Twist!